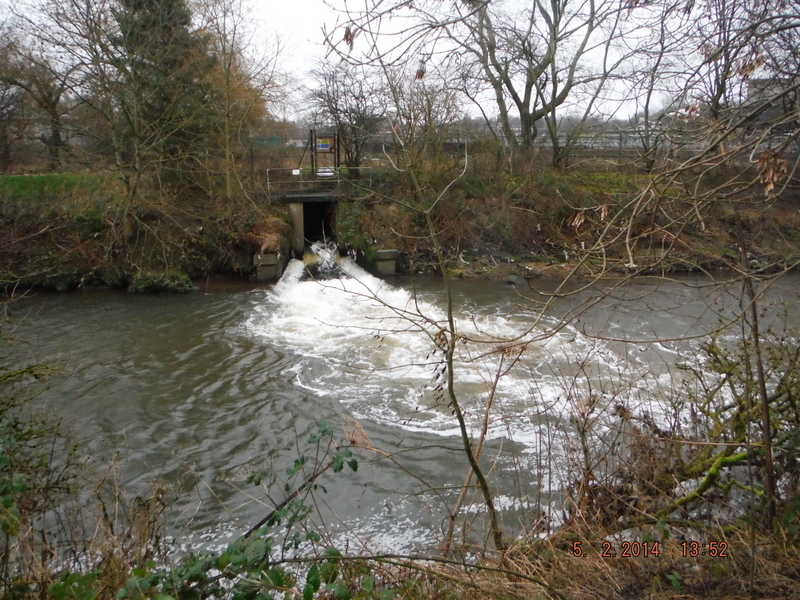 Been out taking more photos of effluent outflows on the Irwell and Kirklees Brook, which joins the Irwell just above Bury Bridge. 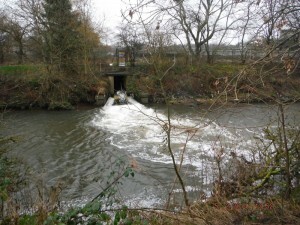 Starting on Kirklees, United Utilities list two Storm Sewer Overflows(SSOs). Unless the first one is under the building or is the small pipe I could find no trace. The second one is another matter. This one is most definitely in need of some TLC. Back down on the Irwell just above and below Bury Bridge we have two listed SSOs. This one above the bridge is really nasty and should have a screen across it. This one below is no better, both seem to run all the time. These small pipes are all just above the bridge, not listed, could be anything. The other problem that is everywhere, is fly tipping. Just a few examples in plain view below Bury Bridge. If I can see it surely the council can too. The only access to the far bank is through businesses and gardens. There is no access to most of the river below Bury Bridge until the end of Wellington St where I cross the river on a footbridge and walk down to a weir where I find my next problem. This one is listed,.if there was any doubt about how often it flows, it has worn its own pool in the river side. You can hear the sewage flowing when you stand near this pipe. Farther down we have this listed SSO at least it has a screen fitted. Nothing much until we get to Warth Bridge. I moved well down river onto Dumers Lane where a path used to let you walk down the river, across from the Bury Waste Water Treatment Works(Sewage Farm) to Close Park. Don’t know from where or what this is. But it has a ladder to get down to it. The Path I mentioned has been blocked off with a fence and gate when this was constructed. If it’s meant to replace the drain above it ain’t doing so. Managed to bypass the gate and walk down the path, which is now getting overgrown, until I got to the WWTW outflow. This is where it comes out when there is an storm that causes an over flow. Even at the WWTW there is now screening to catch you know what. Still lots to photograph, missed a few on this trip, will get them some other time.